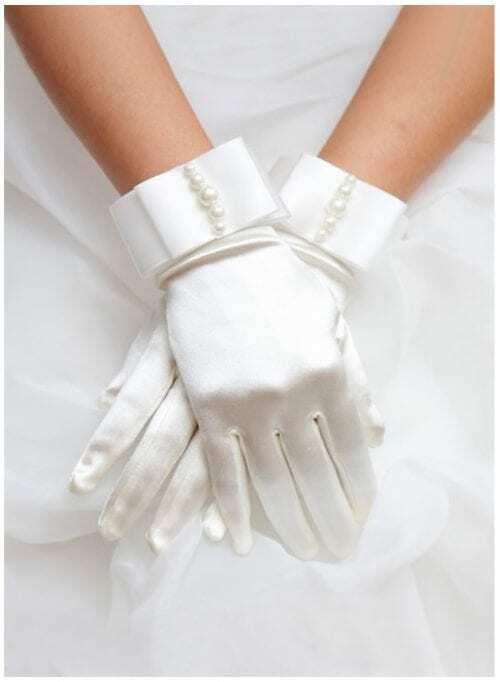 Getting hitched, looking for your maid’s frocks or that perfect Monroesque Ivory dress? This limited-edition beauty may interest you. We all know retailers like to triple their prices as soon as you mention weddings with the average price of a dress being £1300 and 80% of them being made in the far east. Forget all that nonsense, style & opulence shouldn’t always mean expense. 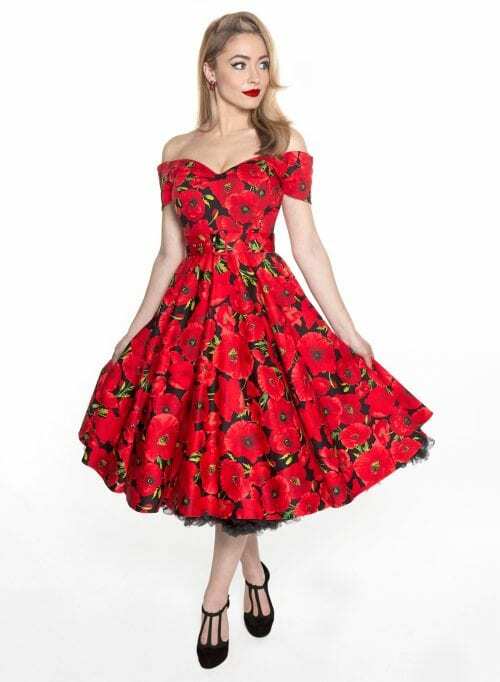 Save your money and wear our British Made 50’s style bit of gorgeousness, you’ll Look just as divine. 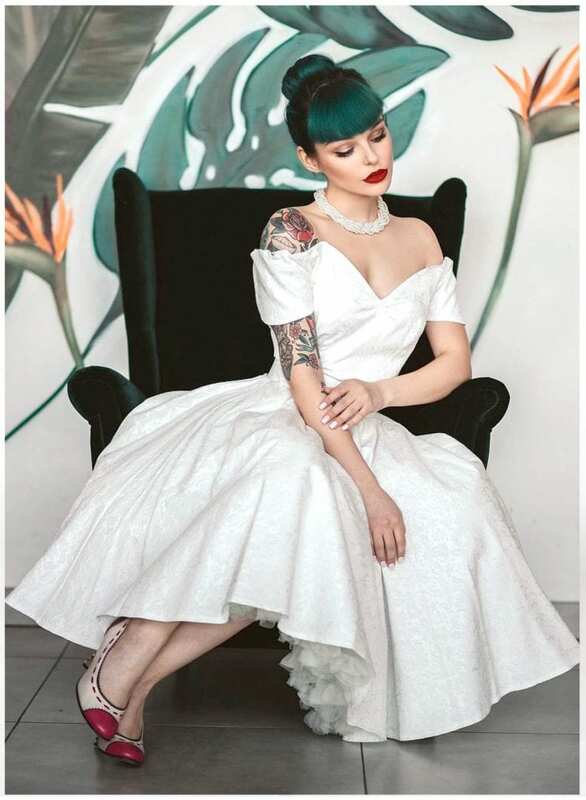 Our Dee Dee dress in Ivory satin jacquard. She has a satin lined and front boned bodice with a concealed zip at the back for smooth fit. 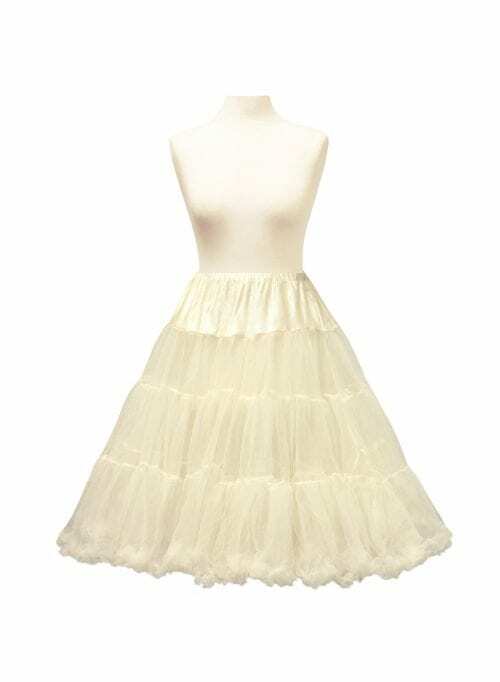 The full circle skirt section has lashings of fabric and looks great when worn with one of our fluffy ivory petticoats underneath. This dress also comes with a cute matching belt too. Accessorise with our twisted faux pearl necklace. I ordered the Dee Dee dress in ivory for my wedding in Vegas. Took 2 days from time I ordered to receiving the dress. When I tried the dress on it fitted perfectly and looks absolutely beautiful. So impressed and would highly recommend. Will definitely be ordering from British Retro again. I bought this dress for my wedding and it is PERFECT! The fabric is better than it looks and also the colour is wonderful, a bit warmer than it looks on the pic. It fits perfectly and the belt can be added if needed. Strongly recommended! I bought this dress for our wedding. The quality is amazing. It is worth far more than the retail price in my opinion (looks much more expensive too). I have ordered from British Retro previously and experienced a hassle free transaction and quality products. I had a slight issue this time in that the petticoat was missing from my order. 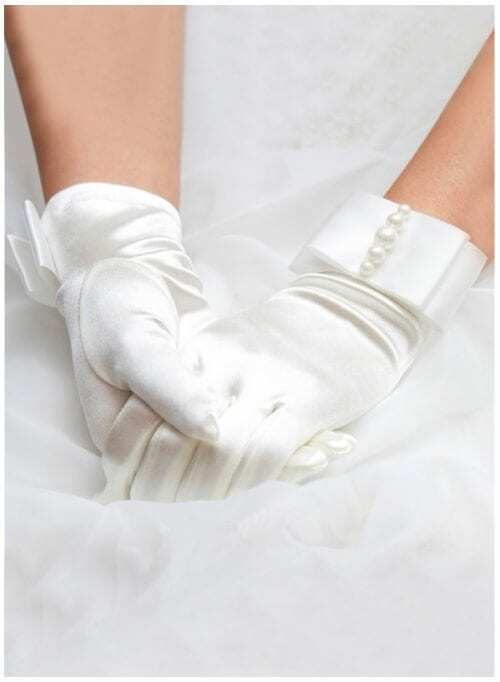 These things happen – my message was returned within five minutes and I received the petticoat in less than 24 hours with absolutely no quibbles. Customer service is excellent, clothing is beautiful -LOVE this store!